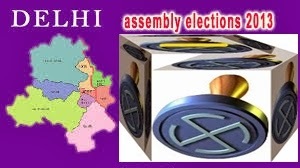 Delhi post poll hang verdict builds interesting situation ! The largest vibrant elected party BJP is freezed and is crying Pahela Aaap …Pehala Aaap. No one is rushing to make the government to rule Dilli wherein the traditional parties are skillful in poaching and horsetrading. Why BJP did not field Vijay Goel as the CM candidate ? Coz of huge corruption in MCD. Why BJP now voted as largest party is running away from its duty and promise of 30% reduction in electric bills ? It was hidden mask of Ambani behind Sheela Dixit. Modi stands committed to safeguard the Ambani`s greed and interest behind electric bill inflation of Delhi wallas. Sheela Dixit sold the explanation to delhi wallas that if electricity is given to private hands it shall be wisely distributed and the cost of power shall become lesser. What happened was opposite that theft of Dilli power was reduced from 70% to 15% but money saved in crores went in the pocket of Anil Ambani. Now power bills are 5-6 times more then three years before. Bang On ! the free flow of corruption today for the first time is scared and stands freezed under common man`s movement of AAP. The common man interest till date against the traditional competitive politics of BJP-Congress to hide the role of Ambanis and corporate the real anti-people villains was always compromised. Let us be prepared to clean the politics out with corruption, communalism and compromise.